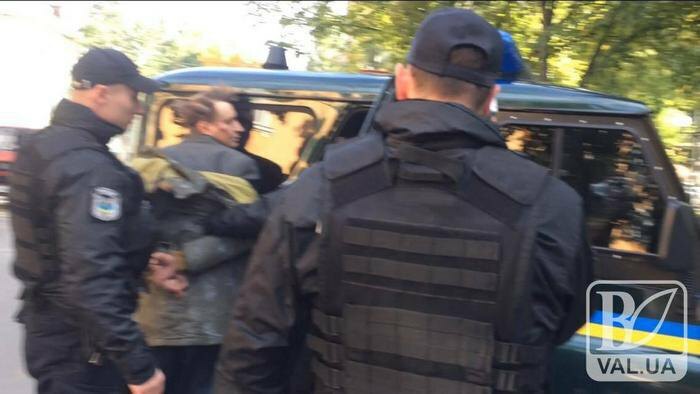 In the morning of 10 October, a man struck an employee of Chernihiv regional prosecutor's office with an ax, local publication Vysokyy Val reported. According to the publication, the man has previously complained about the work of the prosecutor's office and booked an appointment. Having got into the office, the man took out an ax and struck the employee of the prosecutor's office on the head. The woman was hospitalized, she is in grave condition. The attacker, about 50-year old, detained and taken to the police station.